When Adjoa Nyamekye got pregnant with her first child, it did not occur to her that she would lose her unborn baby to a disease that was so easy to prevent. “When I started feeling feverish, I thought it was part of the symptoms that come with pregnancy, so I did not go to the hospital for some time,” she says, as she waits for her turn to see the nurse at the Achimota Government Hospital. Nyamekye, who was then attending a private hospital, delayed in going to the health facility till her illness became so severe that she had to be rushed to the hospital where she was seeking healthcare. “When we got to the hospital, it was too late, they told me I had lost my baby, but what I could not believe was what killed my baby, after six months of pregnancy, and put my life in danger,” she recalled. Nyamekye had suffered malaria during pregnancy, but her lack of awareness on the preventive measures and treatment put her life in danger. “Now I know better. So, I am taking all the necessary measures to avoid getting bitten in the first place so I do not get malaria,” Nyamekye states, who is in her eighth month of her third pregnancy. 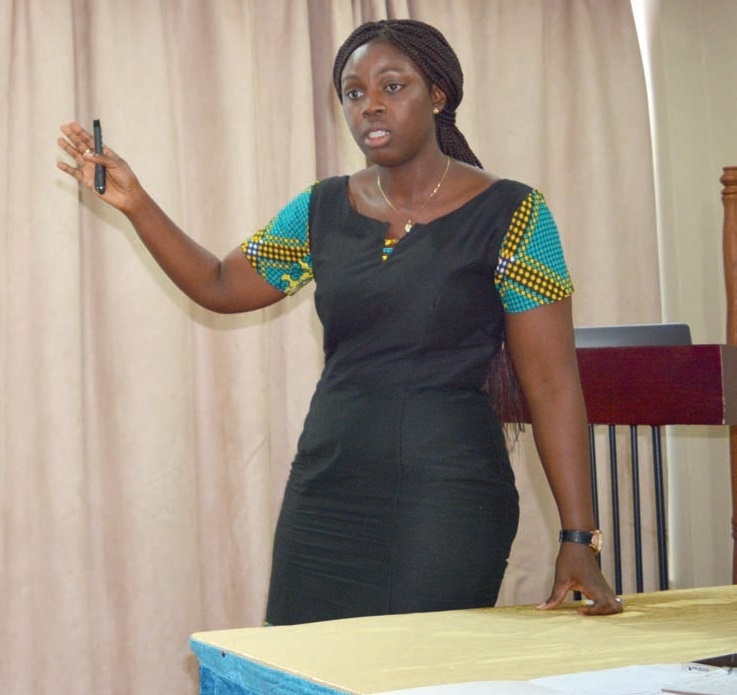 Mildred Komey, focal person for malaria in pregnancy at the National Malaria Control Programme (NMCP), says everybody is prone to getting malaria, but there are certain groups that are more vulnerable than others. “Children under five years, because their immune system is weak, and pregnant women because being pregnant changes their immune system making it weaker. Also, during pregnancy there is excess release of carbon dioxide which attracts the mosquitoes, so pregnant women are more likely to be bitten by mosquitoes that transmit the malaria parasite,” she explains. Ms. Komey further adds that although the number of malaria among pregnant women has reduced countrywide, the incidence is still alarming. Data from the NMCP shows that in 2018, 21.8 per cent of all admissions representing 428,001 suspected malaria cases were among pregnant women as compared to 399,736 in 2017. “So when you are pregnant, you need to take all the steps to protect yourself from being bitten by the mosquito. Because when you get malaria as a pregnant woman, it does not just affect you but it affects the unborn child as well. The pregnant woman can die as a result of malaria. There are also obstetric complications as a result of malaria and then for the unborn child we do have still birth, sometimes there are miscarriages and low birth weight,” Ms. Komey adds. Interventions such as intermittent preventive treatment in pregnancy (IPTp), seasonal malaria chemoprevention (SMC), integrated vector control (indoor residual spraying (IRS) in selected districts, long lasting insecticide treated nets (ITN) nationwide distribution), larviciding on limited scale, malaria vaccine – R, TSS (mosquirix), prompt and effective case management, proper diagnosis with RDT or microscopy, effective and appropriate treatment with ACTs, integrated community case management (iCCM) are being implemented at different stages to tackle malaria in Ghana. 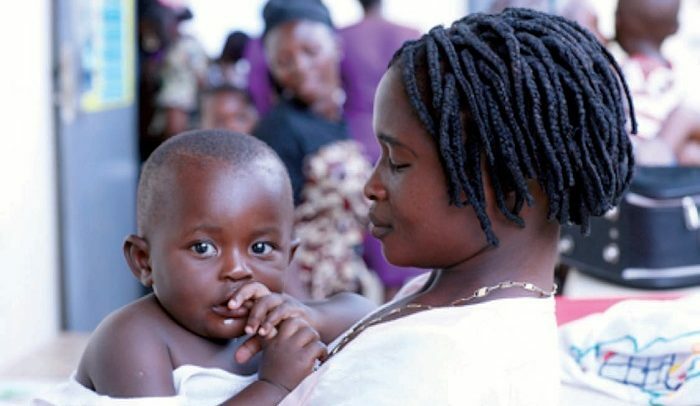 Intermittent preventive treatment (IPT) of malaria during pregnancy is based on the assumption that every pregnant woman living in areas of high malaria transmission has malaria parasite in her blood or placenta even though they may not present with signs and symptoms of malaria. IPTp involves the administration of full, preventive treatment doses of an effective anti-malarial at predefined intervals during pregnancy after 16 weeks or after quickening. In Ghana, sulphadoxine-pyrimethamine (SP) is the recommended drug for IPTp. SP is given to pregnant women as full adult treatment doses (three tablets) one month apart and under direct observation (DOT) by a qualified health person during antenatal visits. This is given monthly until delivery. It is recommended that a pregnant woman takes a minimum of three doses. Mary Fosu is a midwife at the Achimota Hospital in charge of the antenatal clinic (ANC) which attends to about 200 pregnant women averagely; five days in a week. She explains the interventions the hospital is implementing in collaboration the NMCP to address malaria among pregnant women apart from giving the ITNs. “We give SP through the direct observe therapy (DOT). It means we give it to them to take it for us to know or see that they have taken it. We don’t give it to them to take home because they may forget,” she adds. Madam Fosu says before the medication is administered, the clients are made to understand that it prevents malaria and “before we give it, you have to take a test because it contains sulphur, so those who react to sulphur are not given the medicine. Mercy Dede Danso, a client at the Achimota ANC, has not experienced any symptoms of malaria in her eight months of pregnancy. 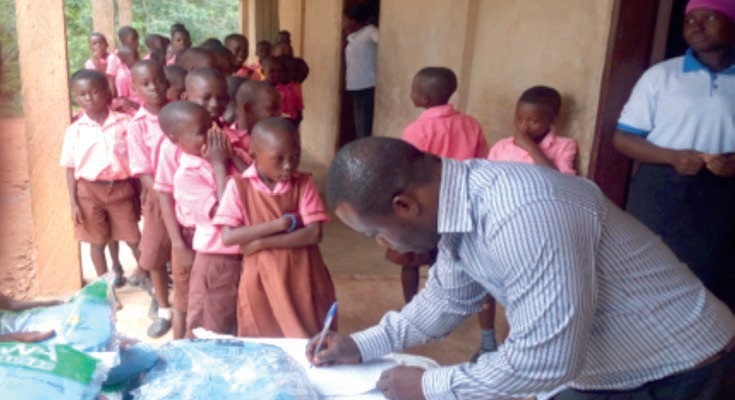 “The malaria medicine they are giving us here… they say it is protecting the child from malaria. And when they give us we see that it is helping us. Three times now I have taken the medicine and for my first two pregnancies and this one I have not experience malaria,” says the 35-year-old hairdresser. Madam Fosu says clients may feel weak after taking the medication; a sign she said is normal because of their condition. She, however, adds that the health personnel insist the clients eat before taking the medication. She further explains that sleeping under ITN and taking SP are the two main malaria interventions for pregnant women. “We encourage them to sleep under ITN every night and all through the night. Another intervention is the SP, anti-malaria drug that is given to pregnant women from 16 weeks of pregnancy or when there is quickening, at least every four weeks till the deliver,” Madam Fosu indicates. However, for those who are allergic to sulphur and do not sleep in ITNs, the hospital has its effective case management system to prevent complications that may arise from pregnant mothers with malaria, as there is no other alternative. Ms. Komey says malaria in pregnant women is treated as an emergency as a result of the consequences the disease has on the mother and unborn child. “I can testify that the SP is good although it seems it is only the government hospitals that give it to their clients. Some private hospitals, although they talk to you about malaria and make you do all the tests they do not give you the SP. Government should find a way of incorporating these SP in the private hospitals. Although it is a choice, this is a good thing government is bringing on board to protect pregnant women. Why not extend to those in private institutions?” Nyamekye asks.